HomeMediaVoetbal elftal van Kwale Girls kampioen van Kenia en Oost-en Centraal Afrika! 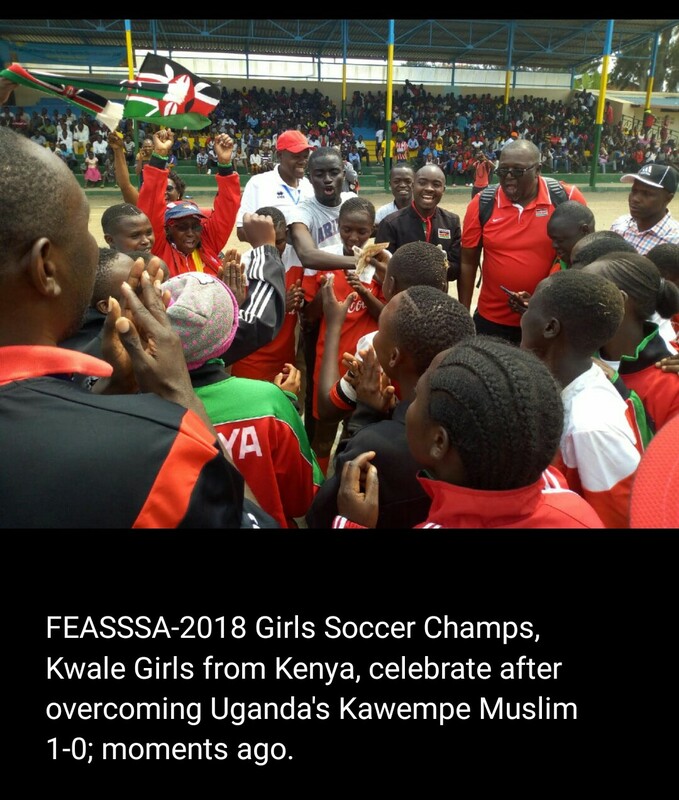 Voetbal elftal van Kwale Girls kampioen van Kenia en Oost-en Centraal Afrika! Traditionally students meant developing a student artistic capacity, athletic capacity in addition to their academic skills. Students under VDT programmes are given a variety of opportunities to participate in sports, perform in shows and develop their musical and artistic skills, that’s in addition to academic skills though these activities students learn independence, confidence, team work and sportsmanship! These traits later are beneficial to them! This is Major achievement for our Girls, for VDT, for county government and for our Nation at large! We are super proud of our girls! VDT believes that universities and future employers are seeking this whole rounded students that can demonstrate collaboration skills have international mindedness and can be global citizens for strategic partnership! We term this as Value for our money! To the Teachers nurturing this talents, we are super proud! To all our sponsors thanks a lot for the continued support!